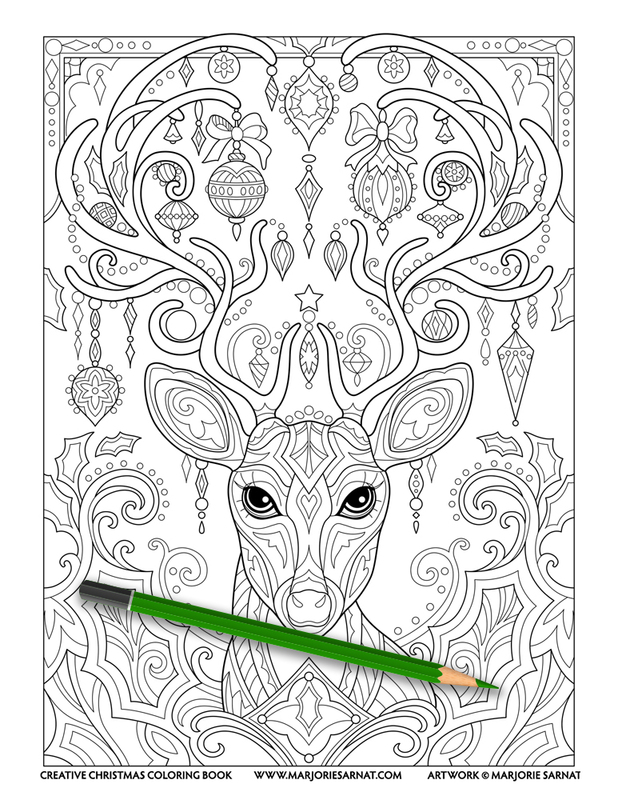 Welcome to my Creative Christmas! My imagination was unleashed in drawing 31 traditional holiday motifs in a unique and decorative way. 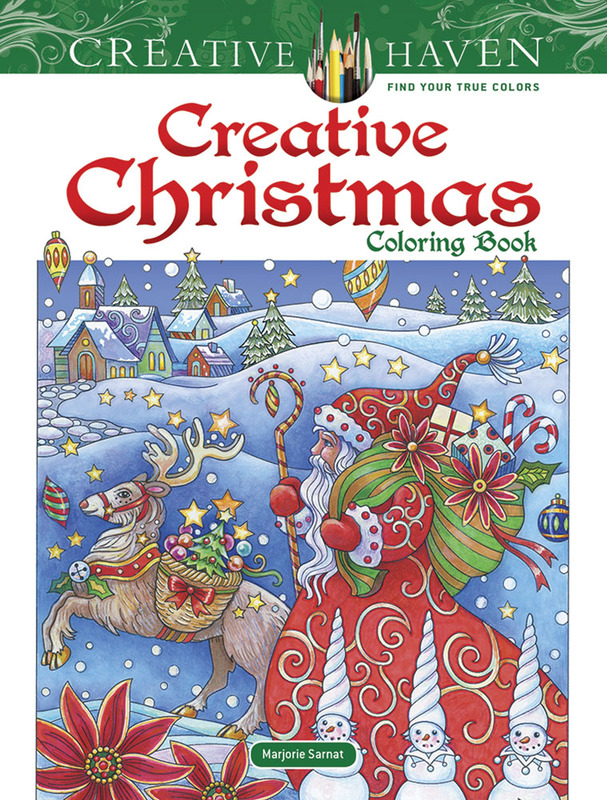 From Santa walking with his reindeer, to elves kissing under the mistletoe, to dancing snowmen and candied wreaths, this book is filled with ready-to-color illustrations. 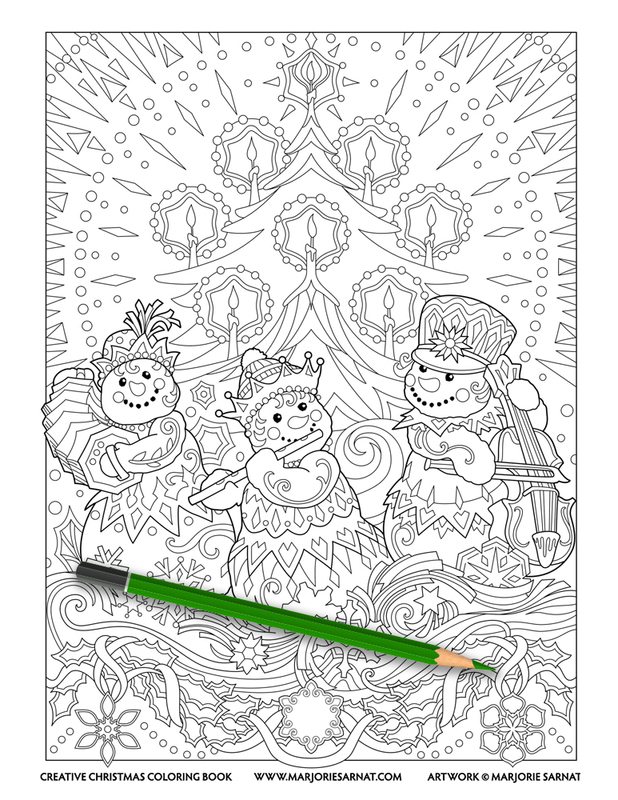 Decorate with your finished colorings, or make a gift for someone special!